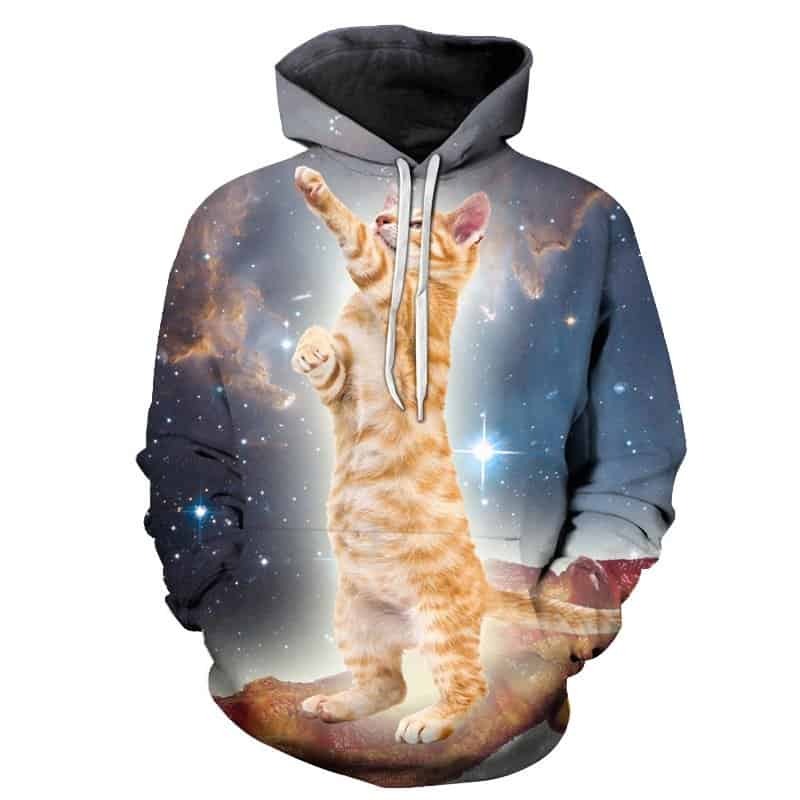 This hoodie feature a cute ginger cat playing with the galaxy. 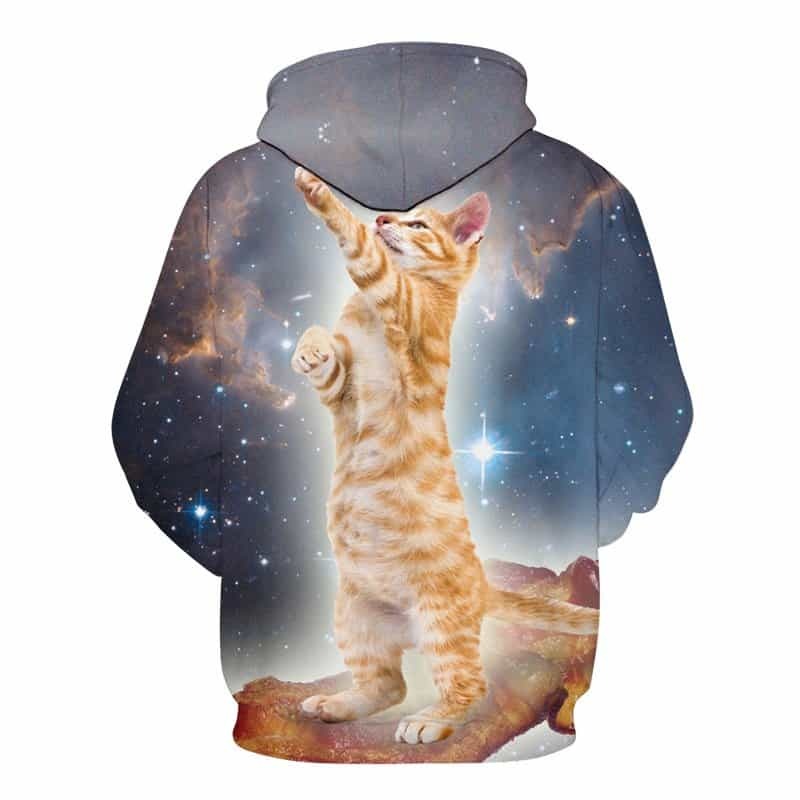 This Galaxy Cat Hoodie is one of our favourites. Mainly because the cat is awesome and so is the concept. The hoodie is comfortable to wear, looks fashionable and is wearable anywhere. It was designed for both male and female.